Judith M. “Judi” (Kowalczyk) Costello, 69, of Auburn died unexpectedly on Saturday April 7, 2018 surrounded by her loving family. Judi was born in Worcester daughter of the late Stanley A. and Michalina M. (Piasecki) Kowalczyk. She graduated from Doherty High School in Worcester and later attended courses to become an Operating Room Technician. She worked at St. Vincent Hospital for a few years before she married and became a full time loving mother. When Judi re-entered the full time, work force she became a medical secretary for Fallon Clinic now known as Reliant for over twenty years before she retired in 2015. 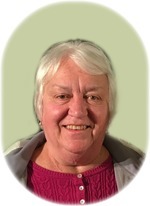 Judi enjoyed reading, knitting, and traveling especially to her favorite tropical spot, Key West, Florida. She loved being surrounded by her family and spending “fun time” with her grandchildren. She leaves her loving husband of 43 years, Bruce J. Costello; two sons, Michael P. Costello of Auburn and Mark R. Costello and his wife Jessica of Fitchburg; two grandchildren, Samantha and Joseph Costello; a sister, Patricia Statkus of Shrewsbury and many nieces, nephews and friends. She was predeceased by a brother, Robert Kowalczyk and a sister, Elizabeth Kowalczyk. Relatives and friends are invited to visit with Judi’s family on Thursday April 12, 2018 from 4-7 pm in the BRITTON-WALLACE FUNERAL HOME, 91 Central St, Auburn. Her funeral will be on Friday April 13, 2018 from the funeral home with a funeral Mass celebrated at 10:00 AM at St. Joseph’s Church, 189 Oxford St North, Auburn. Burial will be in Saint John Cemetery, Worcester. Memorial contributions may be made to: VNA of Southern Worcester County Inc., 191 Pakachoag St, Auburn, MA 01501.